الخيار الأفضل للحصول على المتعة والاسترخاء, فندق ديفيري يقع في منطقة Potts Point في سيدني. يسهل الوصول إلى هذا الفندق ذو 3 نجوم من المطار، فهو يبعد عنه مسافة 13km فقط. كما يمكن الوصول بسهولة إلى Macleay on Manning, The Family Jewels, اليزابيث باي هاوس. إن فندق ديفيري حريص على توفير الراحة للنزلاء، فلا يوفر الموظفون جهداً في تقديم أفضل الخدمات وضمان حسن الاستقبال. إن مكتب الاستقبال على مدار الساعة, تخزين الأمتعة, واي فاي في المناطق العامة, خدمة الغرف, رعاية أطفال هي جزء فقط من الخدمات التي تميز فندق ديفيري عن باقي الفنادق في المدينة. ادخل إلى واحدة من الغرف 117 وتخلص من عناء نهار طويل بمساعدة مجموعة كبيرة من الخدمات كمثل تلفزيون بشاشة مسطحة, اتصال لاسلكي بشبكة الإنترنت (مجاني), غرف لغير المدخنين, مكيف هواء, تدفئة الموجودة في بعض الغرف. كما أن مجموعة الخدمات الواسعة الموجودة في الفندق لضمان راحتك تترك لك الكثير من الخيارات لقضاء وقتك أثناء فترة إقامتك. يشكل فندق ديفيري بخدماته الراقية وموقعه الممتاز، قاعدة مثالية للاستمتاع بإقامتك في سيدني. مطلوب صورة من وثيقة رسمية للتعريف بالهوية وبطاقة ائتمان عند تسجيل الوصول. سيتم فقط قبول جواز السفر أو رخصة القيادة. تطبق أسعار صف السيارات وتخضع كذلك للتغيير. A basic but clean hotel. Our booked room smelt heavily of bleach and we were promptly upgraded. The location is the stand out here: easy walk to King's Cross station, but far enough away from the rougher parts of the Cross to be quiet. Staff were very pleasant and informed me of the agreement with Wilson's Kings Cross Parking agreement that saved heaps of money. 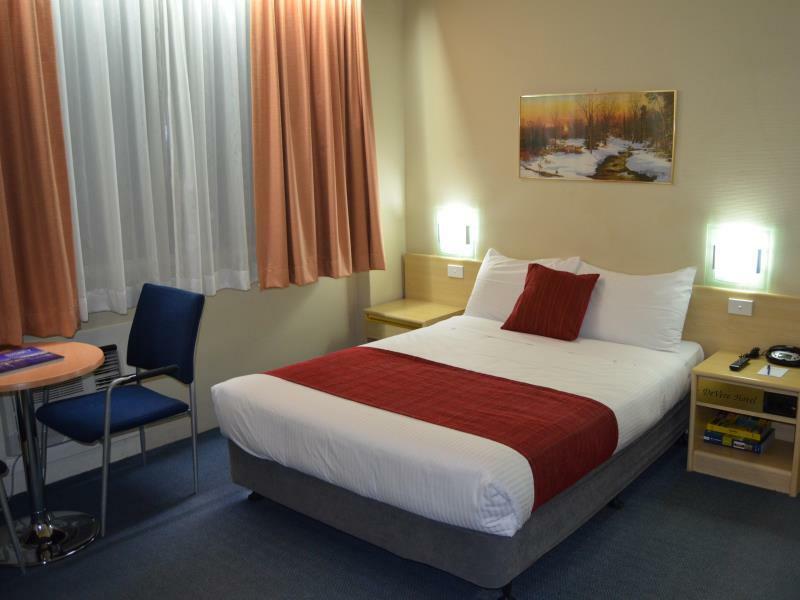 $240 normal rate down to $59 to the car park and $10 to the Hotel. Suggest this parking arrangement is added to the Devere Hotel website. 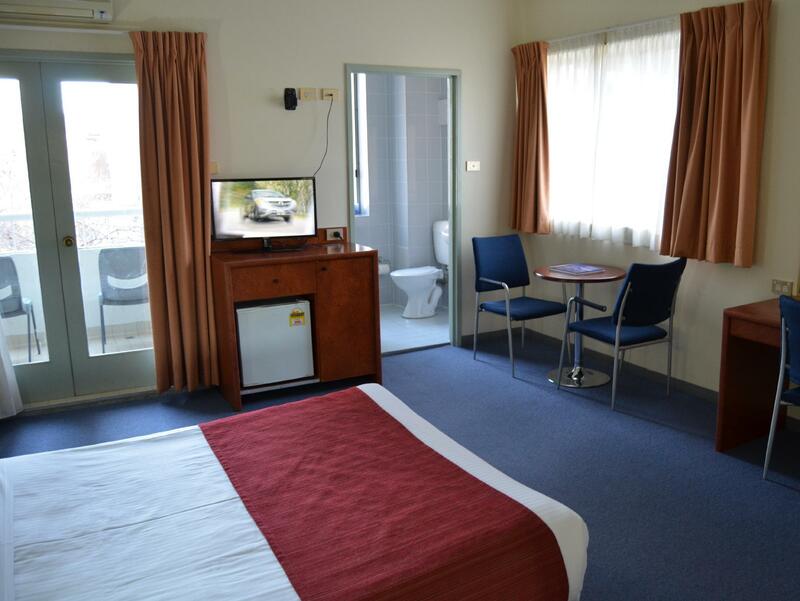 Ideal location for someone who is down for a fun weekend as there are numerous food outlets for the weary traveller. Staff were very accommodating with changes. 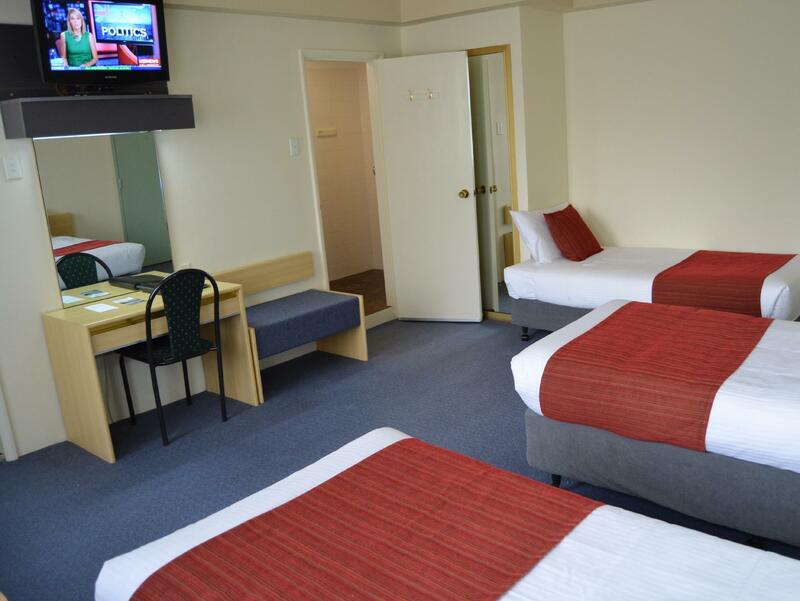 A supermarket just in front of hotel, a train station 300 meters close, feet distance to the Royal Botanic Park, .... with our kitchenette room, we prepared well our breakfast. The room is large enough for the kid to move. 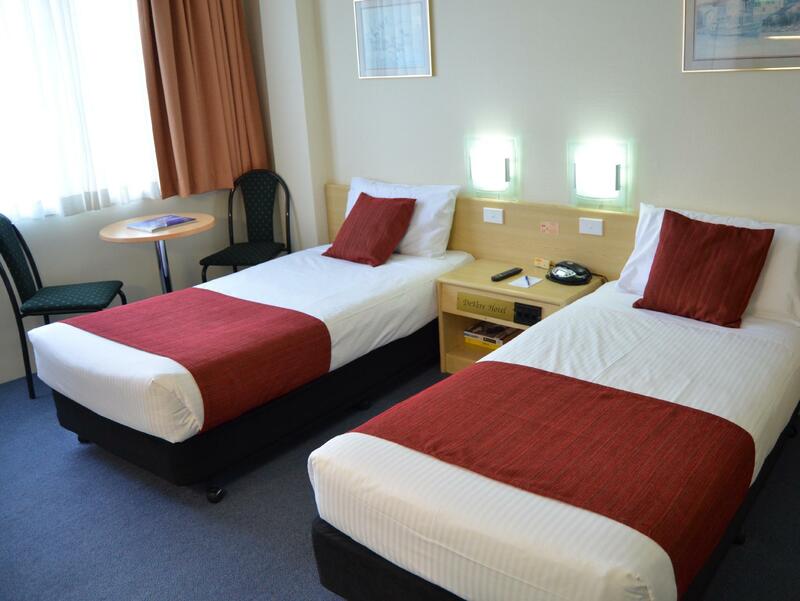 De Vere Hotel is very good value for money, quiet clean and comfortable. Although the in-house restaurant is fairly expensive, there are a range of dining facilities close by, including Billy Kwong's. Close to transport and easy walk to the city. Although bus 311 has a stop practically in front of the hotel, to go to the nearest station - kings cross, you have to pass by what seem to be like a red light district. Also, the hotel has lifts but then you still have to go to stairs to go to some rooms which is such a hassle with heavy luggages in tow, they would not help you either. I booked a double room and they only provide shampoo, soap, a bunch of towels, that’s it. Although I bring my own whenever I travel, I am surprised they do not supply the basic toothbrush. No free coffee either, usually a common freebie during all my other hotel stays elsewhere. Wifi is also paid, although I was told this is common in australia. 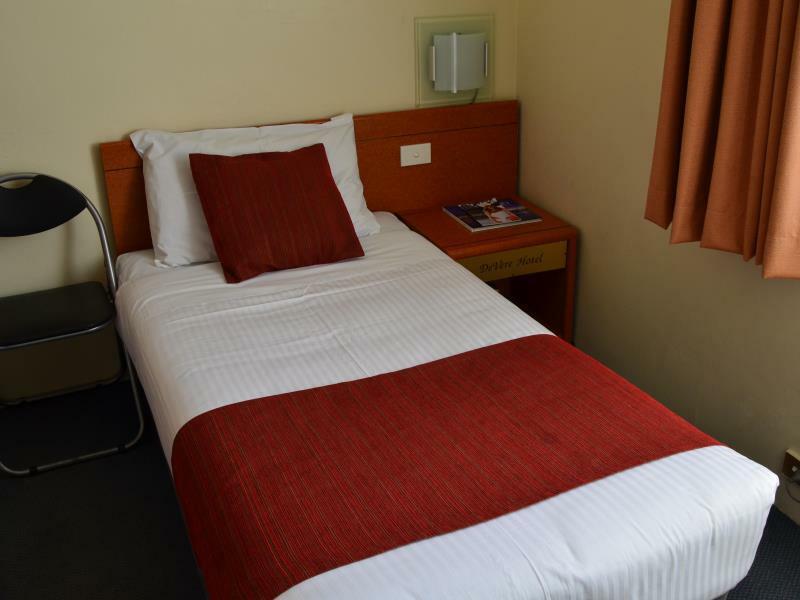 , my room also was not checked enough prior to booking that the review form is already filled out by the previous occupant. Would not recommend this place. 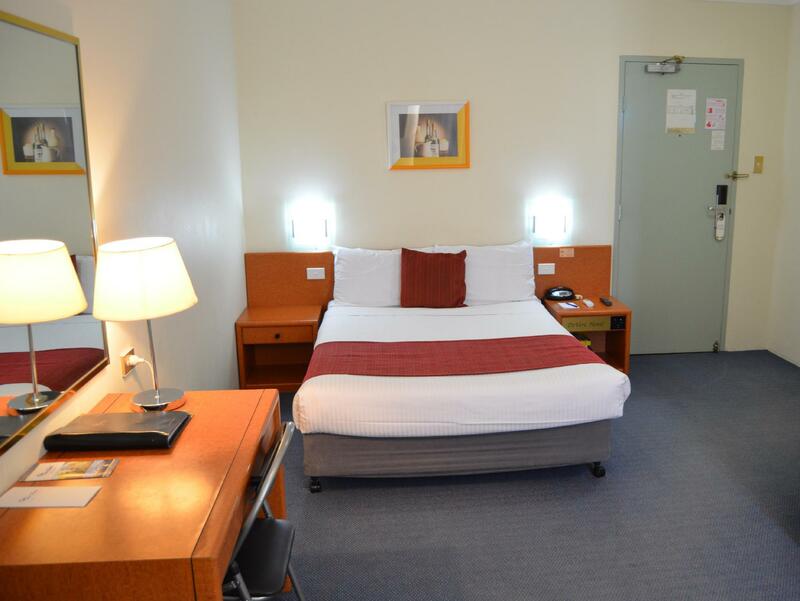 Find somewhere else closer to Town Hall or Circular Quay. For the price it was great. Basic large room. If you want 5 star then not for you. If you want comfortable clean room at affordable price then this is the place for you. We enjoyed our Christmas break at the Devere. 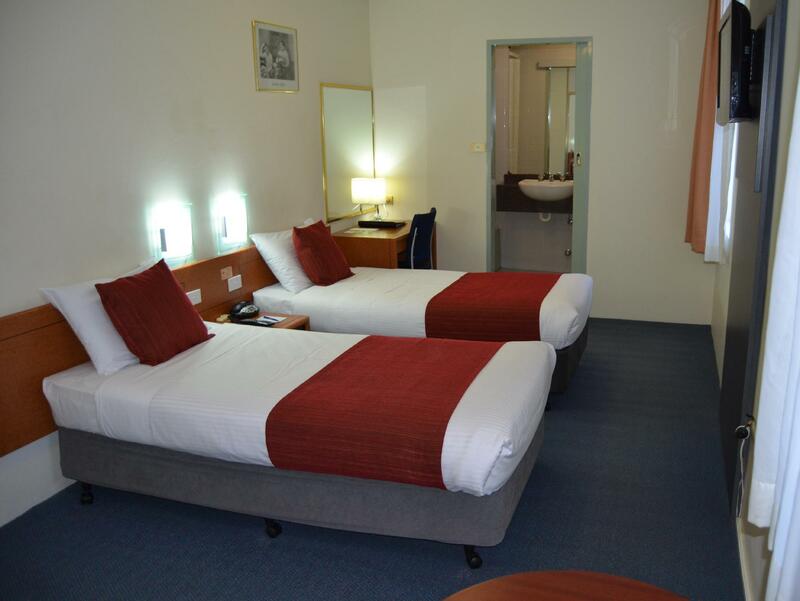 Our room was much quieter than the last time, clean, spacious & a very comfortable bed. 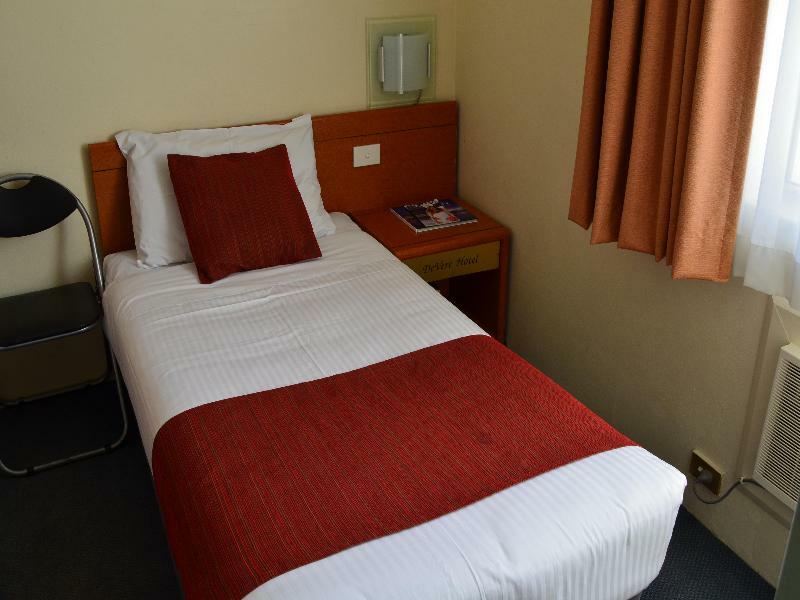 The Devere Hotel is an older style but comfortable and homely. This is my 2nd stay and i definitely will again . Woolworths and bws is across the road and plenty of eat places . Very Convenient. 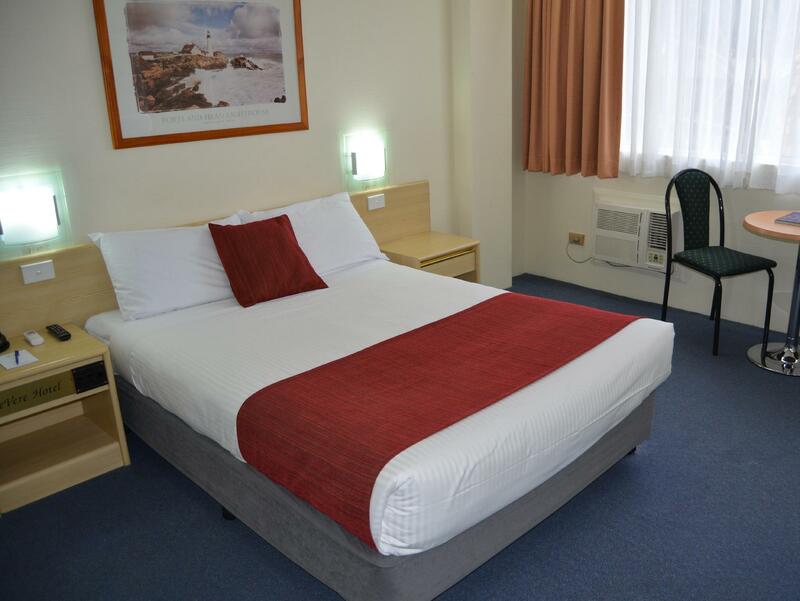 The hotel's location and the affordability are unbeatable! Staff were friendly, hotel was clean, breakfast was great. I will most definitely be returning to stay here on my next visit. If wifi was complimentary, then I’d give it 5 stars for “value for money”. It’s $10 every 24hrs. Not all front desk representatives were friendly. Most did not bother to acknowledge the guests upon entering the lobby. Customer service needs improvement. However on a positive note, when asked for assisrance, they were quite helpful. 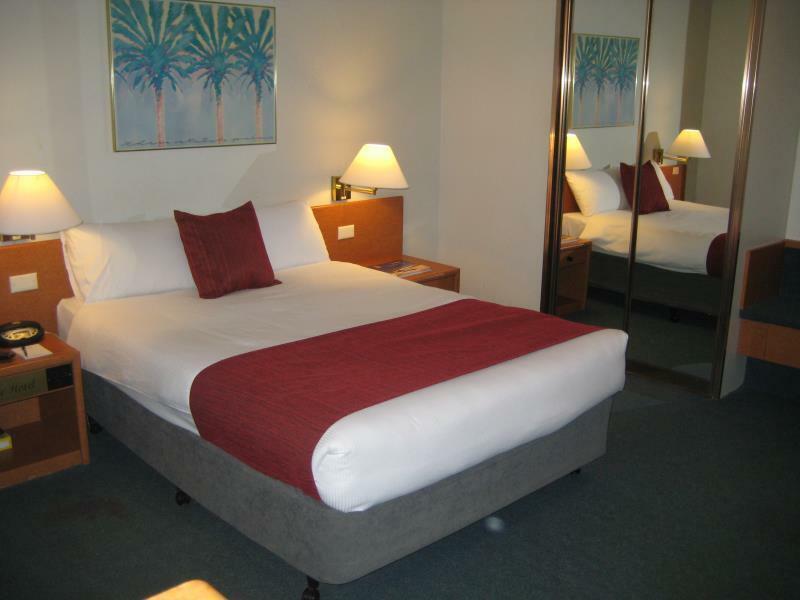 Reasonable location and the room is bigger than you'd typically get for the price. The bed is comfy and there is a decent bathtub. A nice view of the harbour nearby. But there was a bad smell (like unwashed clothes) near the door, and also near the bed head on my side. (My partner said her side was fine). The positives are easily cancelled out by a bad smell, which suggests poor housekeeping. Great view looking out on to the harbour, only about 7 minutes to the train station this hotels in a good area. Clean and tidy with a restaurant upstairs this place has an older feel about it but location is great and the views also..